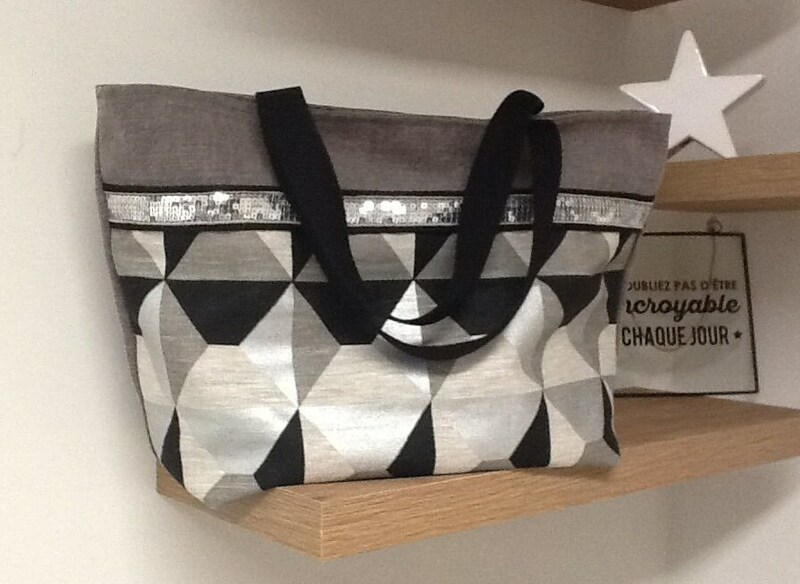 This tote bag is designed in a thick gray taupe cotton canvas, mixed with a real graphic printed linen on the front, redecorated with silver gray sequins. Inside the bag, a large zip pocket in suede coordinated with the flax of the front, scratched "Lesfilsdisa". A silver magnetic button closes the opening of the tote. It has two handles in black cotton webbing whose length allows easy shoulder, even on our thick winter clothes! 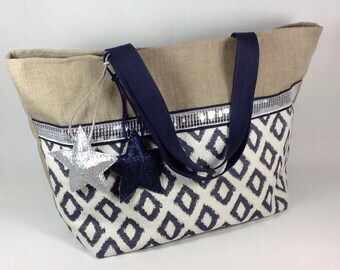 The finishes of this bag are very neat and, as a professional, I offer you "money back guarantee"! Each article is designed and produced at the workshop Lesfilsdisa with care and attention to detail, from design to shipping. You will receive your bag with a parcel tracking number, nicely packaged and well protected, ready to offer!